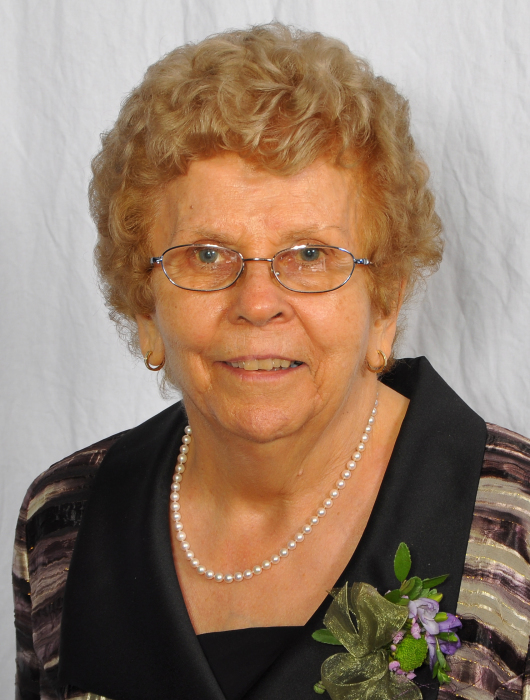 Lena, age 91, passed away peacefully at Grace Hospice in Regina on Wednesday, April 3, 2019. Lena was born on the family farm in Kipling and was raised and educated there. She moved to Regina in 1949 and enrolled in secretarial classes at Business College after which she was hired at Waterman-Waterbury. Lena married Raymond Sthamann on August 24, 1950 in Regina. After their sons were born, she embraced life as a homemaker. Lena was known for her wonderful cooking skills. Her pies were special favourites. Ray and Lena enjoyed dancing and socializing with friends at the local Sacred Heart Church Hall. They enjoyed travelling to many places including Arizona; Hawaii; Missouri; British Columbia; Maritimes; and Las Vegas. Lena loved spending time with her grandchildren, attending their many activities and celebrating their accomplishments. The family made it a priority to gather for Sunday brunch each week. Lena is lovingly remembered by her children Bevan (Karen) Sthamann and Doug (Marilyn) Sthamann; grandchildren Raymond (Angela) Sthamann, Samuel Sthamann (Nathan Murray), Katherine Sthamann, Michelle Sthamann (Mitch Thompson) and Erin Sthamann; great-grandchild Ruby Sthamann; and in-laws Anne (Bill) Gehl, Marian Sthamann, Helen Sthamann. She was predeceased by her husband Raymond; parents Anthony and Julia Kish; siblings Margaret (Steve) Szabo, Mattie (Walter) Uhrich, Tony (Margaret) Kish, Kalman (Olga) Kish, Geza (Violet) Kish; sisters-in-law Minnie Sthamann, Myrtle (Vern) Rumpel; brothers-in-law Arthur, Fred, Robert Sthamann and Nap Charpentier. Thank you to the doctors and nurses at Pasqua Hospital 4B. A special thank-you to Dr. Bester and Shirley for their loving concern. Many thanks to the nurses and staff at Grace Hospice for their wonderful care. In lieu of flowers, donations to Regina Wascana Grace Hospice (50 Angus Road, Regina, SK S4R 8P6) would be appreciated. The Mass of Christian Burial will be celebrated at 1:00 p.m. on Tuesday, April 16, 2019 at Holy Cross Roman Catholic Church (315 Douglas Avenue East) in Regina. Arrangements in care of John Schachtel - Mourning Glory Funeral Services, Saskatoon (306-978-5200).